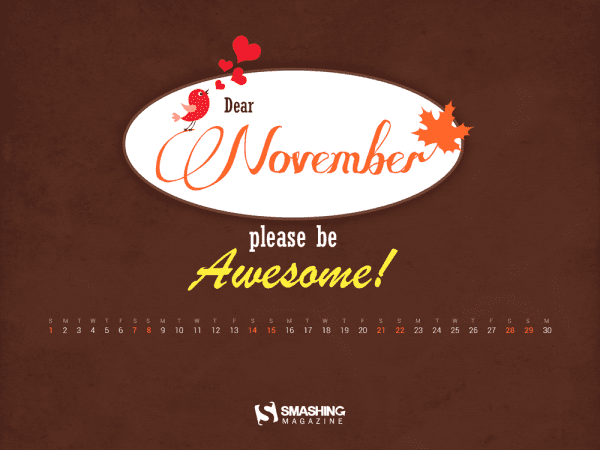 November is here, please be awesome ! Here in Vancouver we have just welcomed our first snow fall of the season on the peak, hopefully this will be one of the many to come in the coming month. We hope you have continue to enjoy our monthly wallpaper theme calendar bought you by Smashing Magazine. As usual, this month’s wallpaper theme pack is available in the following screen resolution, enjoy and happy November !